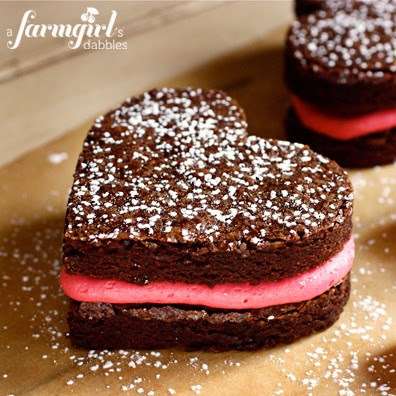 Yesterday I shared my tutorial on how to make heart-shaped strawberry slices, and today I'm here to share a quick, easy, and very yummy Valentine's Day dessert you can make with the strawberry hearts. I start with premade frozen phyllo pastry shells. (You should find them in the frozen desserts section next to the frozen pie crust. Typically 12 shells come in each box.) These are my trick for elegant and effortless bite-size desserts and appetizers. You can fill them with so many different ingredients to create a delicious savory or sweet treat. Fill them with scrambled eggs for brunch, melt brie in them for a chic appetizer, or fill them with pudding and fruit for a tasty dessert. one packet of chocolate pudding mix prepared and chilled (you can substitute with homemade chocolate pudding) *Follow directions for pie filling so the pudding turns out thick enough. Lay the shells out on your serving tray and fill each with about 1/2 tbsn pudding. (You can also use white chocolate pudding to make white chocolate strawberry tartelettes. 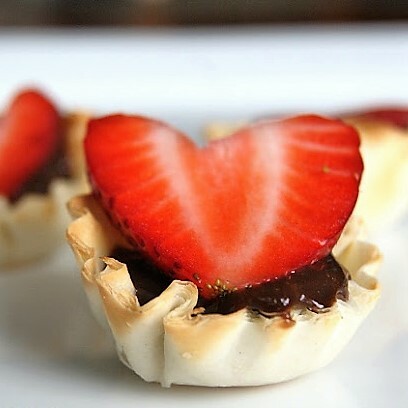 Top each shell with one strawberry heart slice. 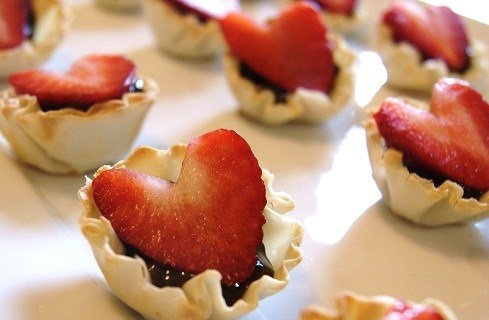 Tip: Make the pudding the night before and assemble the chocolate strawberry heart tartelettes about an hour before serving so the shells don't get soggy from the pudding. They look entirely too delicious!